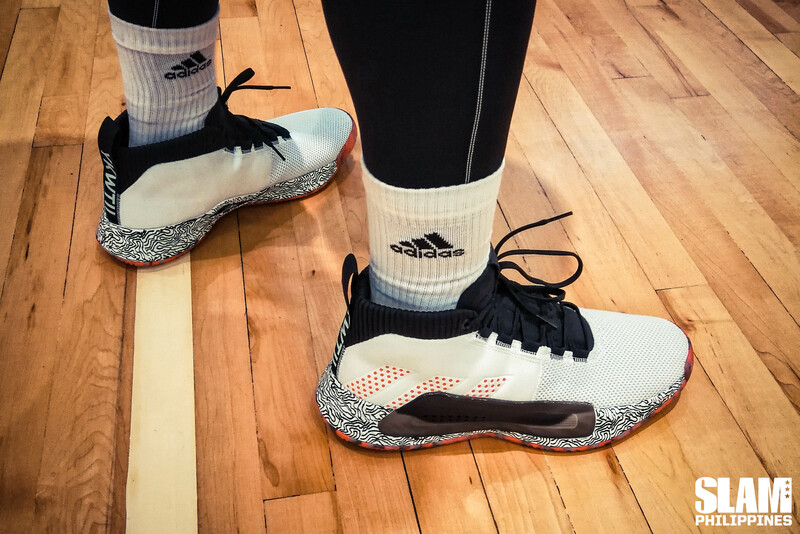 Last month, when the Dame 5 was released to the public, adidas Philippines gave the media and their athletes a chance to test run Damian Lillard’s latest signature. A group of coaches made us go through a gauntlet of drills, executing iconic moves by Lillard. The coaches designed the drills with dribbles, counters and scoring moves to allow the user to experience the key performance aspects of the sneaker. I injured my ankle before the Trial Run so I was taking it easy during the drills. That’s also the reason why I only got court time with the Dame 5 in the past few weeks when my ankle was finally strong enough. It was a blessing in disguise, as I got to appreciate the Dame 5 even more when I finally got some runs in them. Before I returned to the court, I wanted to make sure that the sneaker I was playing in was secure, stable and kept my ankle in place. I got all of that with the Dame 5. An underrated performance addition to the Dame 5 are the quilted “pillows” that run from the ankle area all the way to the mid foot. Even if I normally got a half size down with the Lillard line, my foot stayed in place in the shoe because of the amount of cushioning in the sneaker. There’s no special lacing design or lockdown tech needed. The “pillows” make sure the foot fits snugly, and securely in the sneaker. In addition to the “pillows” the Dame 5 also has a TPU barrier in the lateral side of the foot. That barrier makes up for a key design element in the Dame 4. Last year, the foot sat in the midsole of the shoe, ensuring that the foot wouldn’t slide out of place lateral movements. This year, the barrier is that security measure that keeps the foot in place. The final design element that ensures stability while playing is the wide outriggers on both sides of the sneaker. Just like a wide-set car, the Dame 5 won’t roll over because of the wide base of the shoe. That means on hard cuts, the shoe stays in constant contact with the court. 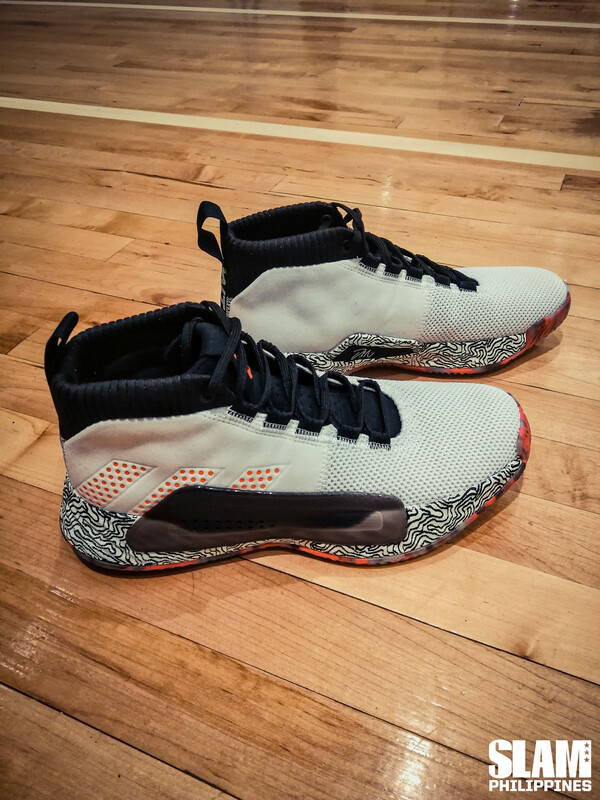 The Dame 5 allowed me to move on the court, knowing that I was securely locked down in my sneakers. 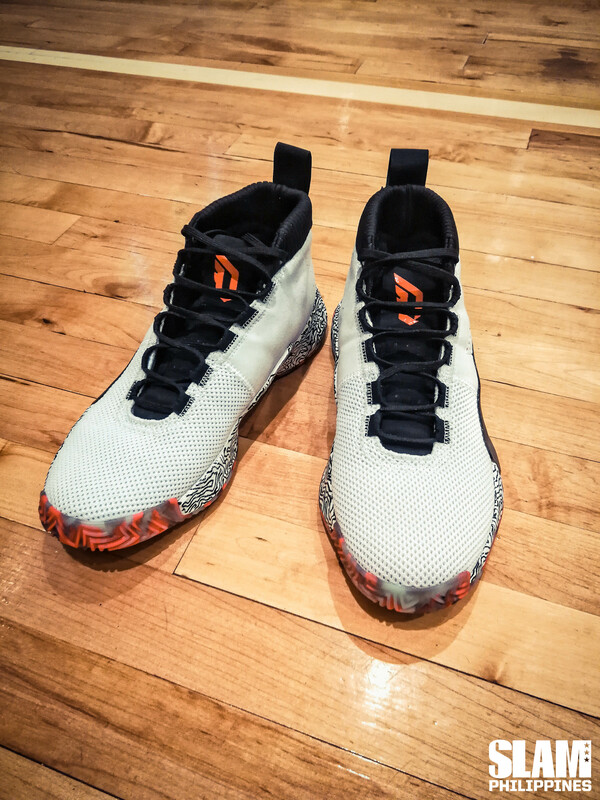 The Bounce set-up in the Dame 5 is so different from the set-up in the Pro Bounce Low. Believe it or not, it feels closer to the Harden Vol. 3, even if the Dame use Bounce and the Harden used Boost. The Dame 5 uses a very well-balanced Bounce set-up. It actually reminded me a lot of the Lillard 2, my very first experience playing in a Bounce sneaker. It didn’t feel as firm or as low to the ground like the Pro Bounce Low. It felt closer to the Harden Vol. 3. The Cushioning was surprisingly plush. The Dame 5 felt very comfortable underfoot, with a good mix of impact protection and responsiveness. It felt especially good on hard landings because of the softer Bounce set-up. It’s important to note that sneaker does gives up some court feel, a hallmark of the Lillard line. But the good thing is there’s no lag or separation during when moving around the court. The sneaker transitions well because the responsiveness is nearly equal in the toe and heel. The Dame 5 is one smooth ride. I love how sneakers today can tell stories through color blocking and key design elements. The Dame 5 shares a lot more about Lillard’s identity through the different colorways they will release. The one that I got is the ‘YKWTII’ (You Know What Time It Is). 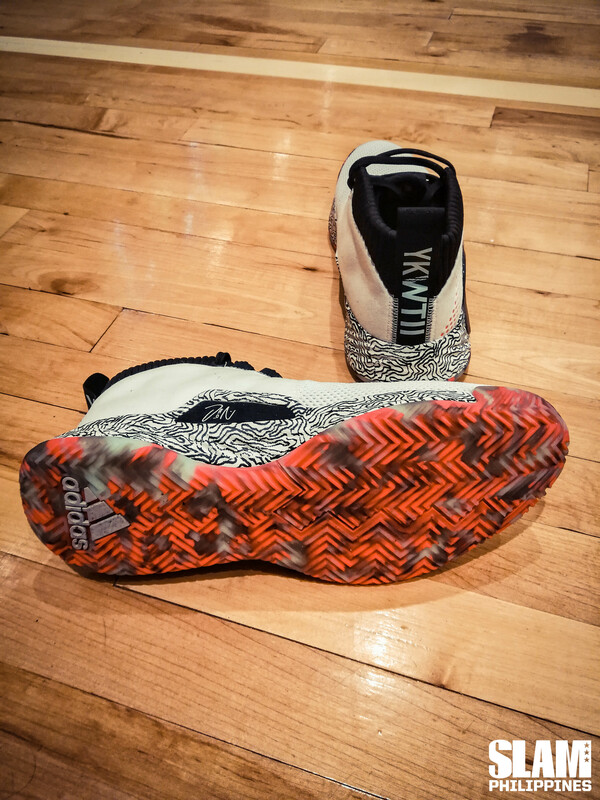 It’s a primarily white sneaker with a crazy pattern on the midsole and a pink and icy camo outsole. It’s a call back to Lillard’s penchant for hitting clutch shots. The initial release includes the ‘People’s Champ’ with Rip City black and red. That colorway celebrates Lillard’s passion for boxing. Also released last month is the ‘All Skate’ colorway. The clean white upper is accented by the neon pink and green outsole. That’s supposed to mimic the color of roller skate wheels. Roller skating is one of Lillard’s favorite off court activities. The colorway released this month is ‘Suga Gee’, meant to pay homage to Lillard’s mom whose favorite color is mint green. Future colorways will share more about Lillard’s life like his childhood bike or his alter ego, La Heem. The Dame 5 is now available in all Titan and adidas doors.